Stamford, CT – The first annual Make Music Day Stamford Downtown, a wild and wonderful mix of over 35 free outdoor musical events, will make its debut on Thursday, June 21, 2018 from 12pm to 8pm. Make Music Day Stamford Downtown is part of Make Music Day, a global music celebration that takes place on the summer solstice each year and brings people of all ages and skill levels together to make music. 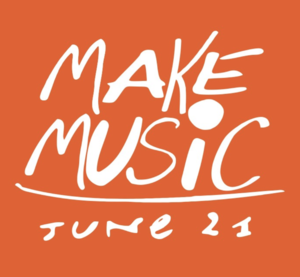 This year, more than 70 U.S. cities and the entire state of Connecticut will host thousands of Make Music Day performances across the country as part of the world’s largest annual music event. Held annually on June 21, Make Music Day is part of the international Fête de la Musique, taking place in 800 cities across 120 countries. The daylong, musical free-for-all celebrates music in all its forms, encouraging people to band together and play in free public concerts. This year, 70+ U.S. cities are organizing Make Music Day celebrations, encompassing thousands of music making opportunities nationwide. Make Music Day is presented by the NAMM Foundation and coordinated by the nonprofit Make Music Alliance. For more information, please visit www.makemusicday.org.